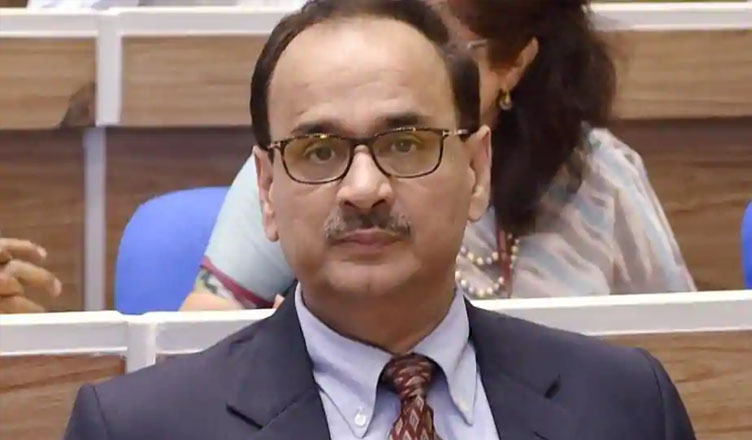 Alok Verma, who was removed from the post of Central Bureau of Investigation (CBI) director on Thursday by a high-powered selection committee, just two days after the Supreme Court reinstated him, has claimed that he was transferred “on the basis of false, unsubstantiated and frivolous allegations” made by only one person, who was inimical to him. Verma was removed from the post of CBI director by the high-powered committee headed by Prime Minister Narendra Modi and transferred to the post of the Director General Fire Services, Civil Defence and Home Guards. The Committee said he “had not acted with the integrity expected of him.” Negating the same, Verma said he tried to uphold the integrity of the institution while attempts were being made to destroy it. “The same can be seen from the orders of the central government and the CVC dated October 23, 2018, which were without jurisdiction and were set aside,” he said. “I have stood up for the integrity of the institution and, if asked, will do it again in order to uphold the rule of law,” he added. The ex-CBI director also said that independence of the CBI should be preserved. “The CBI, being a prime investigating agency dealing in corruption in high public places, is an institution whose independence should be preserved and protected. It must function without external influences,” he said. Congress leader Mallikarjun Kharge, who was a member of the high-powered committee, submitted a dissent note which mentioned that Verma should be allowed to explain himself before any decision is taken in the case. Kharge also said that Verma should have allowed a full term by giving an extension of 77 days, for which he was not allowed to attend the office. By removing #AlokVerma from his position without giving him the chance to present his case, PM Modi has shown once again that he's too afraid of an investigation, either by an independent CBI director or by Parliament via JPC. Congress President Rahul Gandhi attacked the Modi government over the same and linked Verma’s removal with the controversial Rafale deal. “1. Why is the PM in such a tearing hurry to sack the CBI Chief? 2. Why will he not allow the CBI Chief to present his case in front of the selection committee? Answer: RAFALE,” Gandhi tweeted. “Fear is now rampaging through Mr Modi’s mind. He can’t sleep. He stole 30,000Cr from the IAF and gave it to Anil Ambani. Sacking the CBI Chief #AlokVerma twice in a row, clearly shows that he is now a prisoner of his own lies. Satyamev Jayate,” Gandhi’s another tweet read.